The Ballet Contemporáneo de Camagüey, with choreography and artistic direction by Pedro Ruiz, will make its U.S. debut with three performances, September 14-16 at the Kaye Playhouse, 695 Park Avenue (entrance on 68th Street between Park & Lexington). Ruiz was trained in his native Cuba and in Venezuela before moving to New York, where he joined Ballet Hispanico. Over his 21-year career with the Company, Ruiz was a celebrated member of Ballet Hispanico as both principal dancer and choreographer. He also held steadfastly to his ambition to contribute to dance in Cuba and to share the artistry of the Cuban dancers. In 2009, after 30 years away from his homeland, Ruiz returned to Cuba, a trip that was documented by WNET/13 in a breathtaking, hour long documentary, "Pedro Ruiz: Coming Home," that has been aired many times on Channel 13. 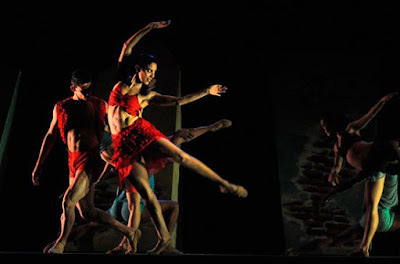 Ruiz began his association with the Ballet Contemporáneo de Camagüey in 2013, and now fulfills his dream to bring the Company to New York for its U.S. debut. Inspired by the energy, passion, and sensuality of the Cuban youth of today.